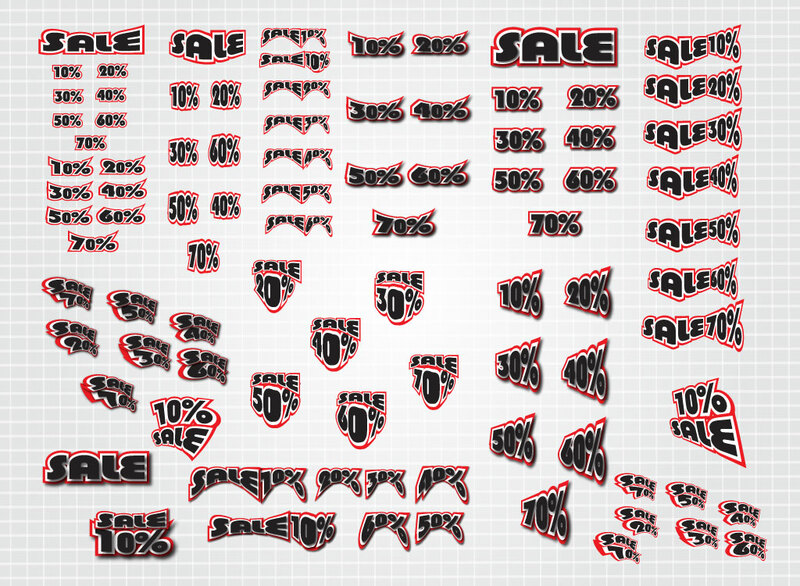 Free sales vector graphics set for your shopping designs. A massive vector bundle packed sale and promotional graphics. Great decorative vectors to enhance the look of your sale fliers, web ads, brochures and promotional designs. Download this great promotion vector pack as an AI and PDF for easy and fast editing. Tags: Ad, Brochure, Discount, Promotional, Reduced Price, Sales, Shopping, Web.